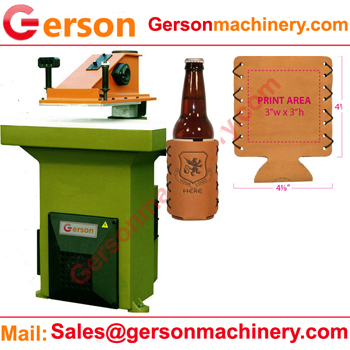 1.If you want to die cut our the leather piece for making Bottle Can leather Koozie holder ,you need to punch out the righ size .Our machine can work with the die (we could make die also) to replace your hand cut . 3.The operator can move the upper beam freely flexible, it has the best operating perspective. 4.The adoption of double-hand operation ensures safety for operators. 5.Gerson can make the custom build machinery for your production need .